Two weeks since the last post? Do we even have any readers left? Will you guys excuse me if I tell you I took a week off to vacation in NC and visit family? If you were in Detroit or Chicago or elsewhere and dealing with snow probably not. Well then, please accept my apologies for taking the week off, delaying your anxiously awaited final report from Chicago, but mostly for rubbing it in that is was almost 70 degrees at the beach. And so let’s get on with the show. Many of you have commented on the wheel report from LA and have wondered if those trends are continuing so I spent some time to catalog more than 450 vehicles that were on display in Chicago. Before I tell you the results, lets cover some ground rules. First, there is nothing scientific about this little survey. There are no new trends that can be spotted since there were very few real new car introductions. And this does not represent the current state of the real world because it is not about what people buy, but instead it is about what the car companies want to show. To give a general idea of what people are buying the last year I measured the North American market it was about 40% steel, 40% aluminum painted a basic silver or gray, 10% added a machine-faced finish, 9% were chrome, 2 % were polished and 1% were premium paint (yes I know it adds up to more than 100% but I am rounding). 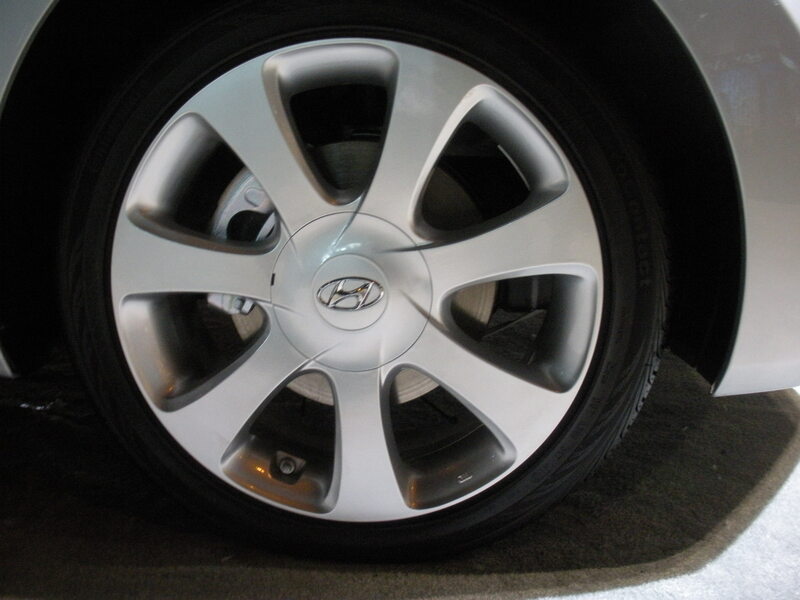 I am currently in the process of measuring the North American market again to see what has changed in the past two years but I can tell you that chrome wheel demand has been roughly identical (insider information at work). It is no surprise that the biggest percentage of wheels at the show were painted aluminum wheels in some shade of silver or gray at 45%. It is understandable that this number is higher than real world considering that steel wheels with wheel covers were a rarity at the show. There were only around 20 vehicles in total and more than half of them were in the Honda and Toyota booth. I guess there is some nugget of strategy in that fact about the kind of customer they are targeting but I must be too dense to understand it. 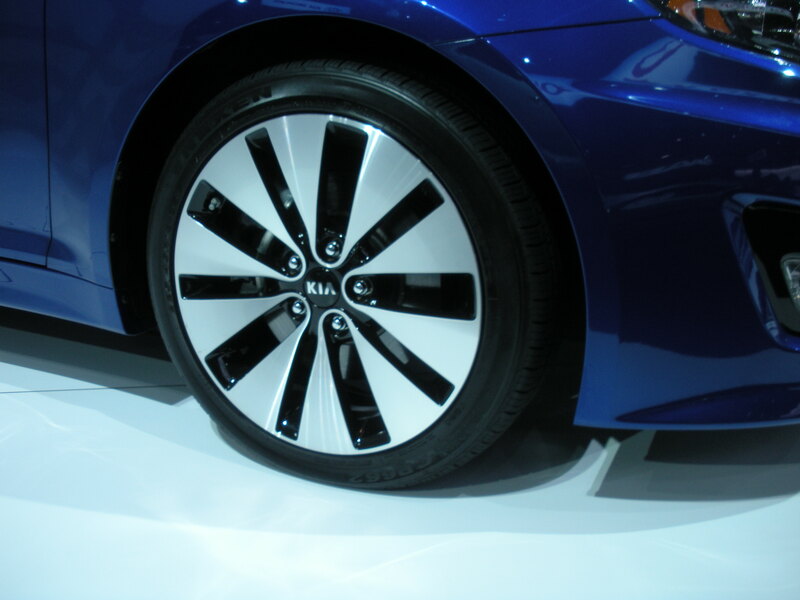 Nor was the second most popular wheel finish on display at the show a surprise. 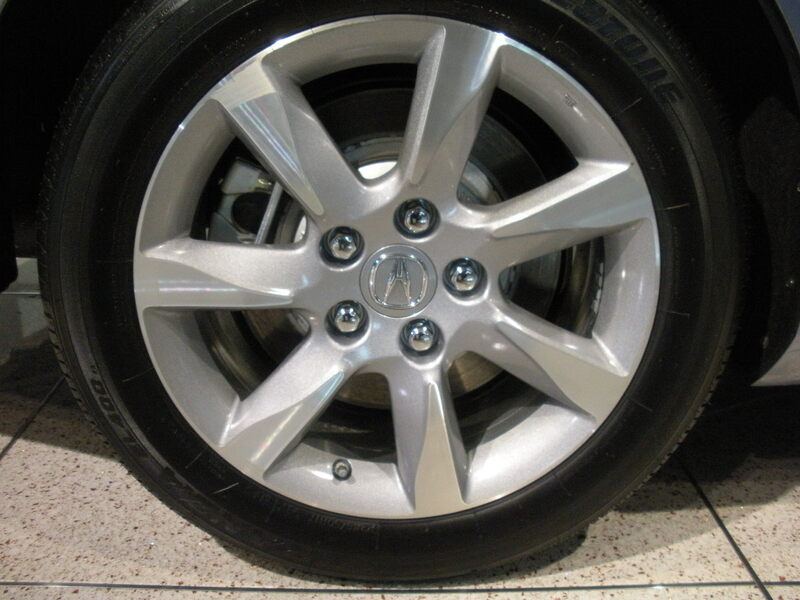 Manufacturers have used a simple silver or gray aluminum wheel with a machined face as a simple and inexpensive way to bring some interest to a wheels character for years. 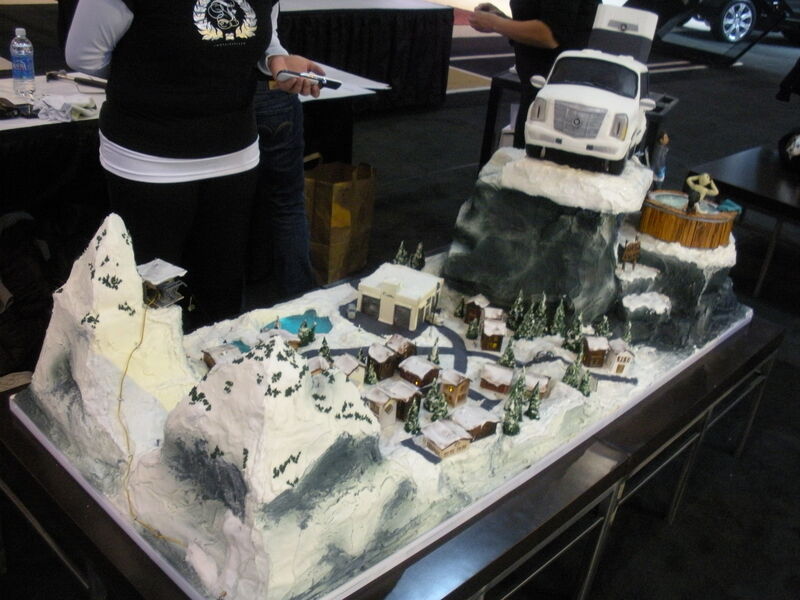 10% of the vehicles at the show were so equipped, roughly the same as the real world market. 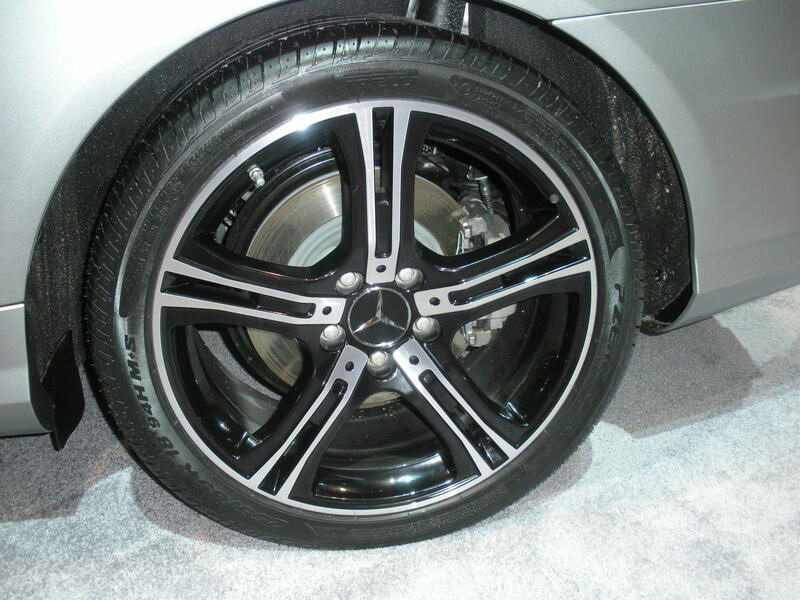 What was newsworthy, however, is the continued increase in the number of aluminum wheels that have a dark color and a machined-face like the Mercedes wheel below. The Mercedes booth was the biggest surprise for me because after two shows with relatively conservative wheels, almost half the vehicles in the Mercedes booth featured gloss black machine-faced wheels. This gloss black trend does seem to be growing, especially when paired with another finish like the raw aluminum finish that is exposed when machining the face of a wheel. I first noticed this finish in LA when Chrysler had a couple of vehicles and Kia had several more. And speaking of Kia, I would like to call you attention to the clip I have loaded below from Detroit’s Fox 2 News Morning. Now having a news personality mention your car on air is a good thing. But having them confuse it with another brand is not. However, if you are going to be confused with a different brand, I guess you can do worse than having Lee Thomas think your car is a Mercedes. But car confusion is not the reason I uploaded this clip to Youtube. I loaded it because it identifies clearly something I have been talking about for years, to some people the wheels are uber-important, and to others they don’t matter at all. Listen as Jason Carr talks about how important wheels are and how much he loves these wheels in particular “I think those wheels make that car”. Later he asks “you care what kind of wheels are on your ride?” to which Kam Carman replies a mousey “No”. Her body language in particular is totally hilarious. Anyway, sorry for that “total tangent” and back to the survey of the show. Next on the list were polished wheels at 7%, only slightly ahead of chrome wheels, also at 7%, and slightly ahead of premium paint at 6%. This is significant because polished and premium painted wheels were significantly behind chrome in my last market research. It will be interesting to see if they have increased their market share over the past couple of years, and if so, where are they getting their share from (since chrome wheels sales are relatively unchanged). Other than these finishes the only other finish on a significant number was dark grey, titanium and similar colors like on the Civic concept above which were on only about 20 vehicles. It is also probably significant that there seem to be fewer and fewer matte finishes at each succeeding show. Not just fewer of them, but also the vehicles they are on are less mainstream and more along the racing demographic. 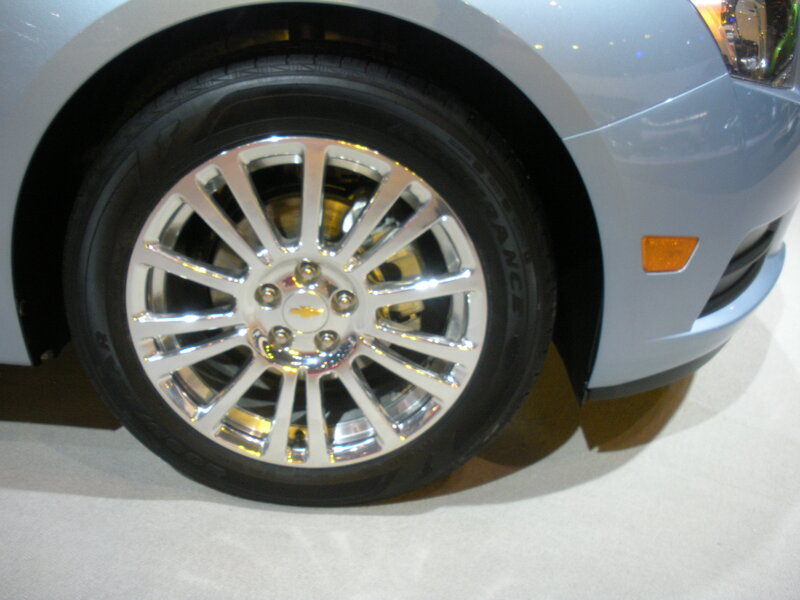 The remaining wheels were a variety of finishes including polished combined with a color like white or black, or unusual solid colors like bronze or white. Well that wraps it up from Chicago, wish I was going to Geneva next. But stay tuned for next week’s post as we visit Autorama in Detroit and welcome another report from “The Stud”. Should be interesting. 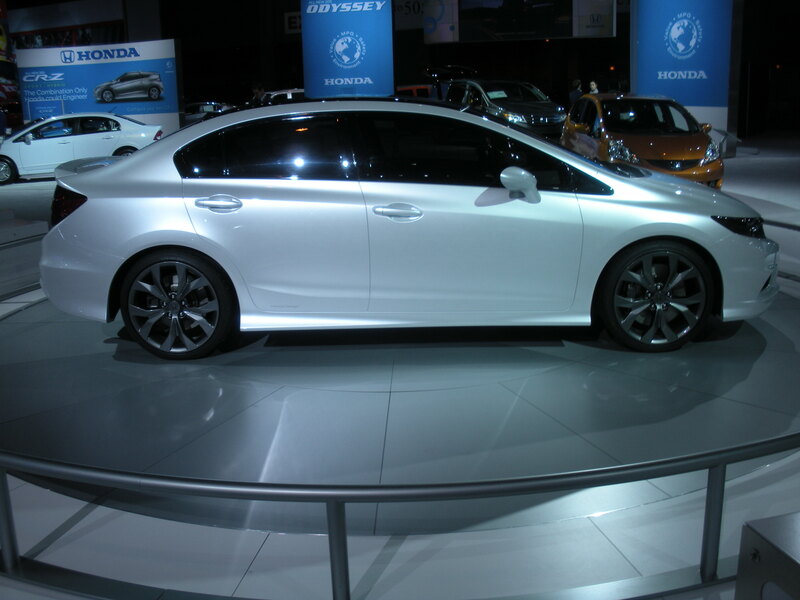 This entry was posted in On The Road and tagged 2011 Chicago Auto Show, Acura TL, Chevrolet Cruze, Fox 2 Detroit, Honda Civic concept, Hyundai Elantra, Jason Carr, Kam Carmen, Kia Optima, Lee Thomas, Mercedes E-Class, wheels. Bookmark the permalink.